Ginger is a perennial plant that grows in India, China, Mexico, and a few other countries. The rhizome (underground stem) is used as both a spice and in herbal medicine. Ginger, well-known for alleviating nausea and improving digestion, appears to be an effective and safe treatment for nausea and vomiting in pregnancy. Ginger may help prevent and treat mild to moderate cases of motion sickness. Studies have shown it to be as effective as dimenhydrinate (Dramamine) but with fewer side effects. Ginger has historically been used for arthritis and rheumatism. Studies have shown it to be effective at relieving pain and swelling in people with osteoarthritis. In a double-blind trial, ginger powder was as effective as anti-inflammatory medication (mefenamic acid and ibuprofen) in relieving symptoms of dysmenorrhoea. Ginger, with its anti-inflammatory and anti-nausea effects, has a history of use in treating gastro-intestinal complaints, from flatulence to ulcers. It has been shown to enhance intestinal movements that aid digestion. Anecdotal evidence suggests ginger may be used for migraines and the accompanying nausea. Ginger has antinausea properties and may prevent post-operative nausea and vomiting. Ginger has been shown to be effective at reducing symptoms. A standardised Chinese herbal combination containing extracts from plants including wormwood, ginger, bupleurum, schisandra, and dan shen reduced IBS symptoms in one study. Herbalists often use ginger to decrease inflammation and the pain associated with it, including for those with low back pain. Ginger is an Ayurvedic herb used to treat people with arthritis. Taking fresh or powdered ginger may reduce the symptoms of rheumatoid arthritis. Traditional Chinese Medicine has recommended ginger for over 2,500 years. 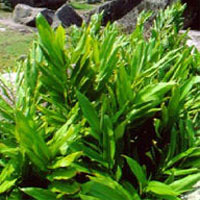 It is used for abdominal bloating, coughing, vomiting, diarrhoea, and rheumatism. Ginger is commonly used in the Ayurvedic and Tibb systems of medicine for the treatment of inflammatory joint diseases, such as arthritis and rheumatism.